The WireTwister 3300 D is an efficient machine for twisting single wires into twisted pairs. 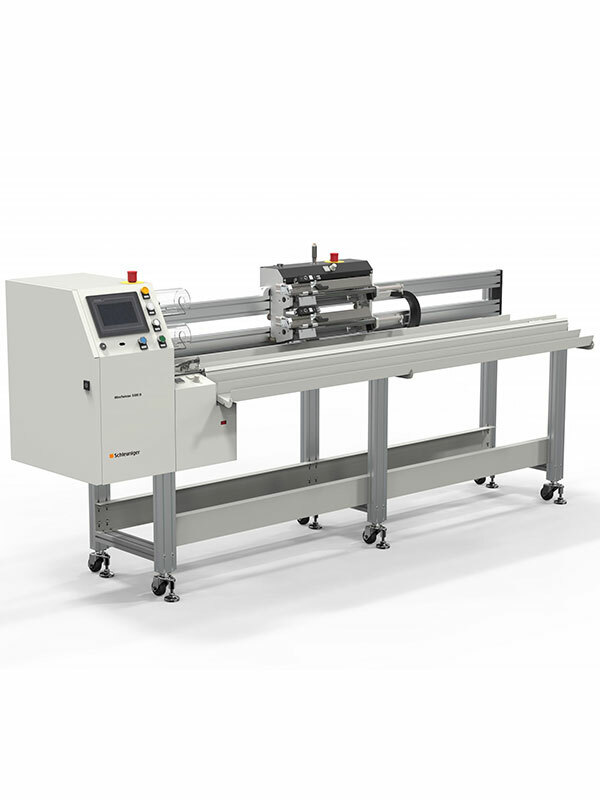 Thanks to its dual head design, the WireTwister 3300 D achieves high production performance compared to a single head design. A touchscreen user interface makes it easy to enter and edit all twisting settings in a very short time. The moveable carriage with the two right side wire holders can be set in a precise position for the initial wire length. The ergonomic access to the wire holders and start buttons on the cabinet and carriage allows quick and easy operation of the machine. Automatic movable safety shields in front of the rotating wire holders provide safe and comfortable operation. To read more about the technical specifications of the Schleuniger WireTwister 3300 D, see the Product Information PDF from Schleuniger.